One of our past favorites we have seen "The Evangelist" is finally being released on May 9th! ITN Distribution led by movie maven Stuart Alson has acquired the rights to worldwide distribution for the highly anticipated horror / psychological thriller with Sony Pictures Home Entertainment and eOne Entertainment releasing the film in the US & Canada. The sadistic thriller penned by the Pepitone brothers Joseph Pepitone & Billy Pepitone ("The Jersey Devil", Stuck in the Middle"). Captivating, eerie and just down right disturbing. Movie buffs will witness the chilling tale unfold by bible quoting maniac played to a tee by veteran indie actor Keith Collins ("The Meat Puppet"). Collins, who also came up with the twisted story deliverers an astounding performance. Putting the fear into you, literally. Known for his intense character portrayals of psychos Collins takes on this role and brings it to a whole different level of fear. Lead actors Doug Bollinger ("Waltzing Anna", "Rock, Paper, Scissors") playing a strung out police detective brings to the screen one of the best performances we've seen in years as he reels you into his characters struggles and gives you power packed punches till the end. Samantha Artese ("The Coffee Shop") is the clever psychologist that doesn't back down she gives the role exactly what it needs and doesn't disappoint. Michael Billy ("The One") is the hotshot trendy detective brings light to the story with his humorous remarks that make you feel at ease during times of fear while the story unfolds. Billy, is excellent in this role and is the glue to make this leading ensemble cast complete. 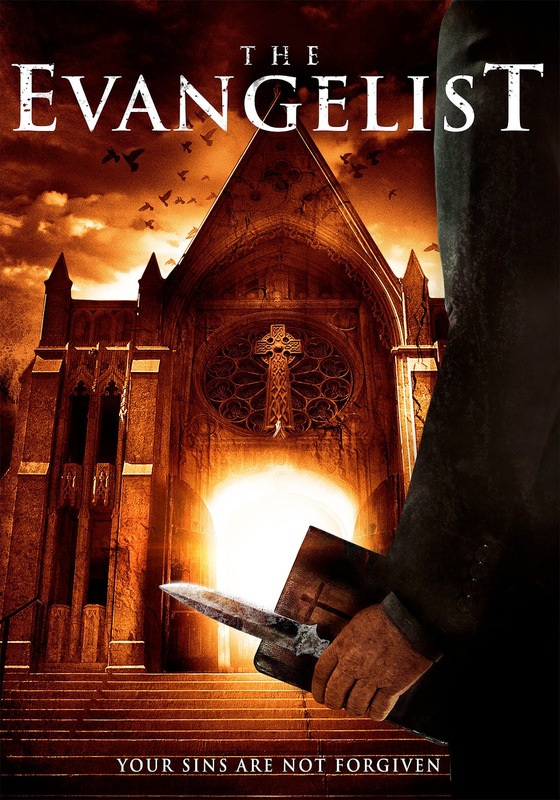 "The Evangelist" tells the story of Bill Horton (Collins) who at seven years old watched in horror as a serial killer murdered his mother. Known as The Evangelist, he places a bible next to her body and quotes scripture as he leaves Bill alone and destroyed. Thirty years later, Bill has grown up and appears to be a model citizen, spending his days cleaning his house and baking. He has, however, picked up the mantle of the Evangelist, killing those who he finds wicked and evil and leaving a bible by their bodies. Bill only opens up to Dr. Laura Cooper (Artese), a psychiatrist, who discovers Bill's dark secret. She contacts young Detective Edward Legros (Billy) who is working on the case with his cynical, veteran partner, Detective John Vance (Bollinger). But what Vance knows about the original Evangelist will lead to a bloody showdown. THE EVANGELIST: Keith Collins, Doug Bollinger, Samantha Artese, Michael Billy WITH Billy Sample ("Former NY Yankee"), Gervase Peterson ("Survivor") AND Ron "Bumblefoot" Thal ("Art of Anarchy"). Directed By, Joseph Pepitone (“Stuck in the Middle”). Produced by Keith Collins. Executive Producers Steve Wolf ("Lady Peacock"), Jonnie Rockwell ("The Anthem"), AJ Mattioli ("Words"), Cory Green ("Rebel"). CO-Executive Producers Doug Bollinger, Joseph Pepitone. Cinematography & Edited By, Cory Green. Story By, Keith Collins. Written By, Joseph Pepitone and Billy Pepitone. Original Music By, Ron "Bumblefoot" Thal.